We are a family owned and operated restaurant. My husband and I have been doing business in the Orlando area since 1987 when we arrived from Puerto Rico. As we began to miss the flavors of our island we decided to launch Matt’s BBQ. Our way of making a local place for great Puerto Rican food. Matt's Latin BBQ is authentic Puerto Rican BBQ right in Central Florida! Enjoy barbecue ribs, steak, rotisserie chicken and savory sides in an inviting atmosphere. Our Goal is to serve the best authentic Latin food at a great price. Perfectly seasoned chicken, yellow rice with natural chicken and pork flavor added, Yucca drizzled with garlic oil, deep fried sweet potatoes, mofongo made fresh with our own brand of chicharron, sweet plantains, chunks of tender pernil. 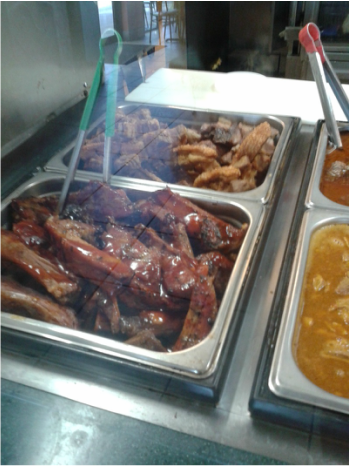 Matts Latin BBQ offers eat-in or take out as well as Matt's To Go for large parties or events. At Matts BBQ we use a “campo style” technique in all our food. Infusing the flavor of the rotisserie and “la parilla” into all our meats and sides. Everything is prepared fresh here in our kitchen and we source only the best quality ingredients. Mofongo : Try one of our deliciously made to order Mofongos (fried green plantain mash, seasoned with fresh garlic sauce, crispy pork skin, our signature broth and other island ingredients) with our rotisserie chicken, pernil or shrimp.